The post My New Purple Beard, My Kids And Their Classmates! Plus, My Son Loses A Tooth And Then Loses It!!! ðŸ˜©ðŸ˜©ðŸ˜© | Perez Hilton appeared first on Perez Hilton. Kourtney Kardashian recently launched her very own brand, Poosh — just in time for her 40th birthday. That’s right. As of Thursday, Kourtney turned 40 years old, and her family wasn’t about to let her forget it. Family and friends shared their wildest memories of Kourtney in a Poosh video, and some of these are bonkers. Others … explain a lot. “One of the craziest stories I remember about Kourtney was when she was 2-year-old,” Kris reveals. At two years old? Even if Kris is referring to preschool, we’ve seen plenty of millionaires personally drop off their kids at preschool. We get that Kourtney has always been teeny-tiny, but hat kind of rich people preschool was this? “He locked up the bus and went out to breakfast,” Kris reveals. Yes, we would imagine so. “Happy birthday, Kourtney. I can’t believe you’re 40-years-old,” Kris raves. “I promised you I wouldn’t cry on your birthday — at your party — and I’m going to try not to cry now,” Kris promises. “My wildest memory of Kourtney is probably just when we were younger,” Kendall begins. Remember, there’s a 16-and-a-half year age difference between Kourtney and Kendall. “We loved her for it,” she remarks. We would imagine so! Spoiling kids is one of the benefits of being an adult but not the primary caregiver. “Kylie and I looked up to her so much,” Kendall gushes. Kylie says that her favorite memory of Kourtney involves the two of them arguing about Tinkerbell pajamas that Kylie wanted. Kourtney was a full-on adult when Kylie was born, so this is goofy. Maybe they don’t have that many memories because of the age gap, which is sad, but Kylie’s story is just … kind of dull. No shade. Khloe teases that she has no shortage of wild, sordid tales to share about Kourtney. She also says that, because she’s such a good sister, she won’t horrify Kourtney by tainting her Poosh brand with them. Kim’s stories are all about being relentlessly bullied by her older sister. “She was always finding a way to pick on me or pick on me,” Kim complains. “A funny little example is when we were in Palm Springs …” Kim begins, explaining that they would visit their grandparents there. Kim accuses Kourt of having recruited all of her friends to spend time with her, not Kim, and even try to humiliate her in front of her peers. The post Philly Barber ‘Confused’ After Cop Allegedly Orders Him To Stop Giving Free Haircuts To The Homeless appeared first on Perez Hilton. 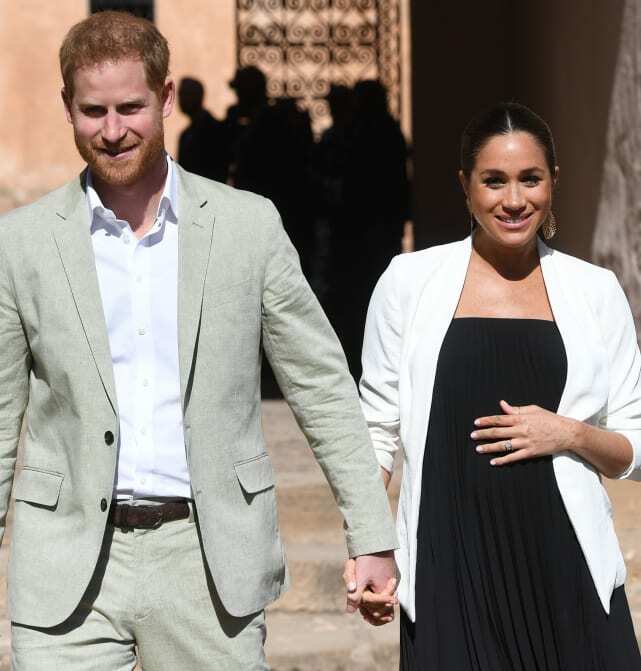 MEGHAN MARKLE IS NOT ACTUALLY PREGNANT AND SHE’S JUST WEARING A FAKE BELLY AND THE ROYAL FAMILY IS ALL COMPLICIT IN CONJURING UP A STUNNING SCHEME TO FOOL THE PUBLIC. So a bunch of social media users think, that is. Is this a crazy conspiracy theory? Or are these supposedly astute observers on to a scandal so salacious that all Great Britain residents will instantly forget about Brexit, everything Piers Morgan says and the allegation that Mel B once slept with Geri Halliwell because they’ll be so blown away by this fake pregnancy? Yes she does. This photo was snapped just a couple weeks ago. But can looks be deceiving? 2. 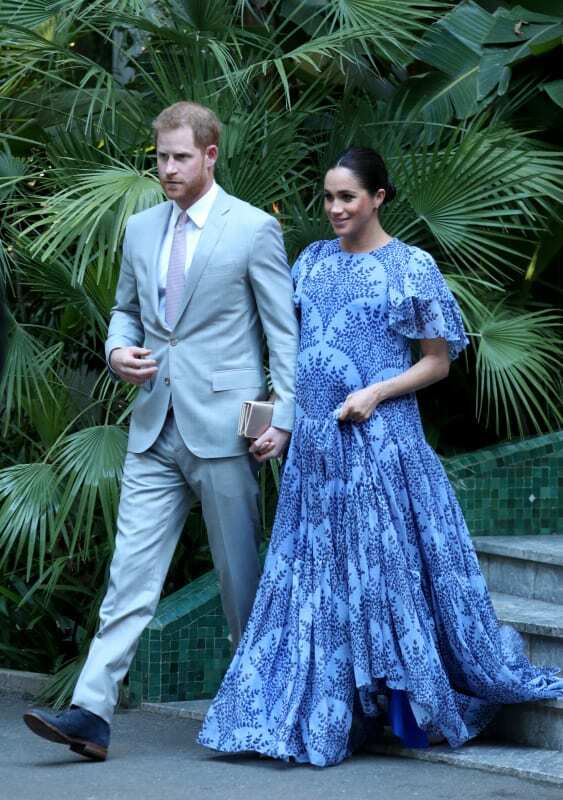 Might Markle Not Actually Be Baby Bumpin? 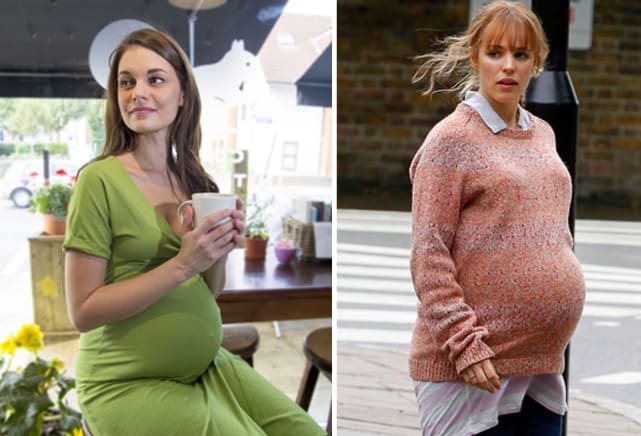 She’s wearing an oversized dress her, just like all expecting mothers — but what does it really prove? What does this picture really depict? 3. What Could This Be If Not an Actual Baby Bump? Easy, these critics claim… a Moon Bump! These look like real pregnancy bellies. But the photos are taken from the official Moon Bump website. They are fake. But Jenny has come forward to share that their family has experienced every parent’s nightmare. Last week,Â Justin Bieber penned a super romantic poemÂ to his beautiful wife, Hailey Baldwin. Now, it’s Hailey’s turn to openly gush about her love.